In a world where concrete is ubiquitous, the mundane fabric of urban cityscapes, now it is given disparate context: the uniquely refined realm of perfumery. Here, the prosaic is treated as precious; stereotypes subverted. A versatile material finds an unpredictable form. 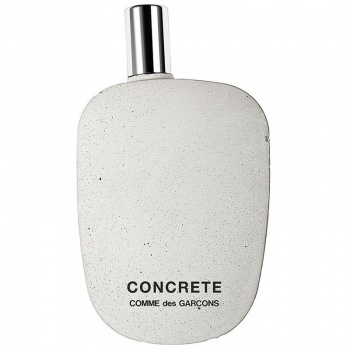 An exploration of destruction, construction and creation, CONCRETE is a fragrance where material preconceptions are deftly demolished, paving the way for something new.